Note: This category items can not ship outside Canada and USA. 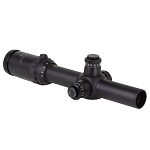 A riflescope’s reticle is placed in either the first focal plane (FFP) or the second focal plane (SFP). The main difference between them is that an SFP reticle will appear to be the same size regardless of magnification. 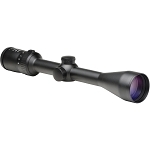 With an FFP reticle, the size of the reticle will appear to change as the scope’s magnification is changed. 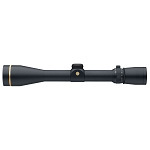 Most American hunters are familiar with SFP, as that style has been the most common in American hunting scopes for generations. 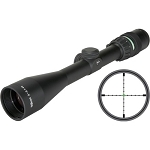 The FFP reticle has become very popular with long-range shooters, and as we are adopting their techniques, this reticle is gaining favor with hunters wishing to shoot at long range. With an SFP reticle, the spacing for holdover in the reticle is only correct at one magnification, usually the highest setting. 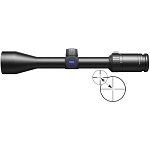 If the scope’s magnification is set lower, the size of the reticle relative to the target changes and the increments of the spacing will change. You can use a mathematical formula to figure out the spacing for each of the power settings, but it becomes complicated and confusing and is no good for hunting. 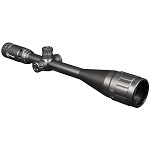 If you do all your long-range shooting only at the highest magnification, this is not an issue and an SFP scope will work fine. 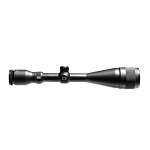 One advantage is that you have a strong and easy-to-see reticle even at the lowest magnification. 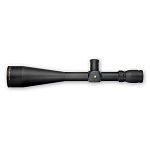 An FFP reticle appears to grow larger or smaller as the scope’s magnification is increased or decreased, respectively. 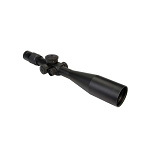 In reality, the reticle maintains the same perspective with the target size throughout the magnification range. 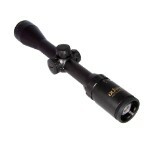 That means the holdover points remain the same throughout the range of magnification. For example, the 6 MOA line is at 6 MOA on the lowest setting, the highest setting and everything in between. The downside of an FFP reticle is it appears small and thin at low power and gets thicker at high power, so it can be hard to see at the low settings and can cover too much target at the highest setting. 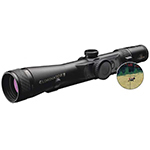 For hunters, the low-magnification setting is often just as important as the high-magnification setting, so make sure you look at the reticle at all power settings before buying an FFP scope. Some have illuminated reticles, which help at low power. If you use the dial-up technique for long-range shooting both reticles will work just fine as the dial adjustments are not affected by the type of reticle.